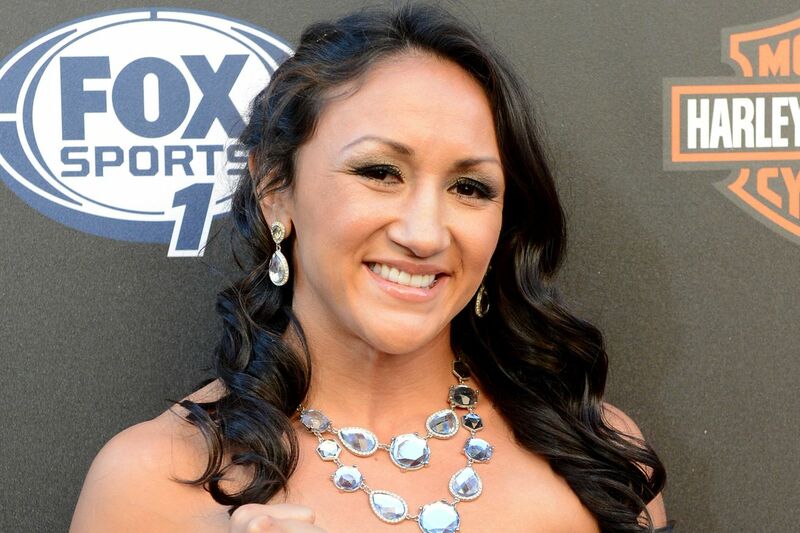 Frank Pozen's Big Bad Blog: Carla Esparza replaces Jessica Aguilar on Apr. 23 UFC show. Carla Esparza replaces Jessica Aguilar on Apr. 23 UFC show. Jessica Aguilar was supposed to face Juliana Lima at UFC 197 Apr. 23 at the MGM Grand Garden Arena in Las Vegas. But Jessica was forced to pull out due to a torn ACL in her knee. She has had surgery and will be out for at least six months. Today Brian Martin of the LA Daily News reported that former UFC Strawweight Champion Carla Esparza will replace her. Carla is a four time All American wrestler. But as we found out when she lost the belt to current champ Joanna Jedrzejczyk, she needs work on her standing skills. After Joanna won by TKO, Carla had shoulder surgery and recovery time for that kind of surgery is usually a year. Juliana Lima is a good opponent for Carla to get back into the swing of things. Though I would like to see if Carla has improved her kickboxing, if she's on her game she should have no trouble with Juliana. Though Juliana is 2-1 in the UFC, neither of her wins were impressive. Her last opponent Ericka Almeida was released by the UFC. Carla fights at a higher level. But one never knows what fighters will be like after a major surgery.